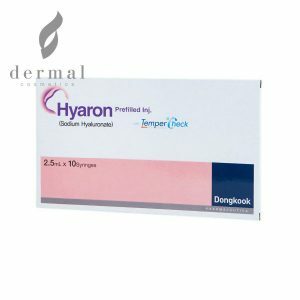 Hyaron is a special mesotherapy product which also doubles down as a dermal filler. It’s main active ingredient is Sodium Hyaluronate. A much smoother and even injectable gel, when compared to Hyaluronic Acid fillers, Hyaron is not as grainy and has smaller particles. The main advantage of the product is that while it can be injected to remove fine lines and wrinkles, as well as skin folds, with lasting effect, it is actually the powerful and noticeable long term positive effects it has on the skin. This mesotherapy product is an excellent solution for patients suffering from dry and poorly hydrated skin.